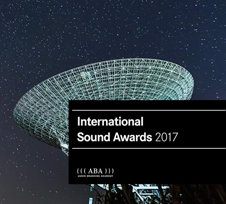 The interactive 3D-Audio-System “Usomo” got two awards at the 1. International Sound Awards 2017. In the categories Research & Development and Digital Product Sound Design our software convinced the judges and won the first price. The award is conferred by the “Audio Branding Academy“. 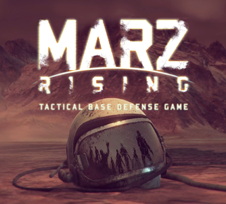 The Tactical Base Defense Game “MarZ Rising” by indie developer “doorfortyfour” from vienna was released on Steam. In the year 2065 humanity prepares itself for the colonization of planet Mars. Surprisingly there is already life on the read planet – undead life. The player has to guide his crew through a single-player campaign and solve the mystery of the zombies. All voice recordings including Mixing was delivered by “Lyrebird”. 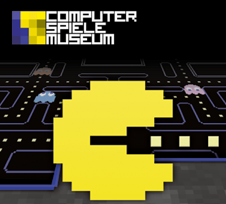 In this sound quiz developed for the “Computerspielemuseum” in Berlin the player has to recognize a video game just by hearing the sound effects or the original score. The games included are classics like Pac-Man, Turrican, Monkey Island, Mario and many others up to even modern titles. This gaming fun is created by “Lyrebird” and will be shown in a permanent exhibition in the museum. We are designing sounds for this amiga game classic remake made by the company ”Robot Riot”. 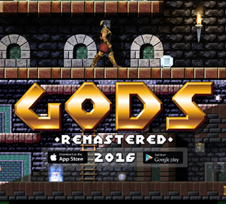 Our goal for „GODS Remastered“ is bridging the gap between original and modern sounds. With detailed foley recordings and synthesis we are creating a balanced combination of video arcade and real life feeling. 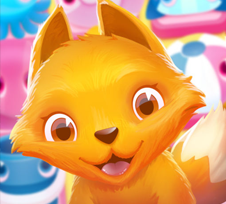 “Peppy Pairs Paradise” is a casual memory game for mobile devices. It is available in the App Store or on Google Play. On behalf of the Berlin company “2 3 1 Play” we created a paradisiac sound design. Can you match all pairs? On behalf of „FRAMED Immersive Projects GmbH & Co. KG“ we developed a 3D audio system for exhibitions, events, etc. 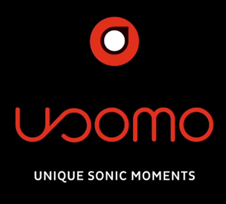 called „Usomo“. It is a tool that enables the user to locate any acoustic source by moving around very precisely via headphones. By determining the exact position of a person it is possible to involve any movement (even rotation) in the acoustic reproduction – an unprecedented audiovisual experience! 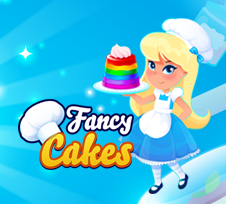 This Casual Puzzle Game called “Fancy Cakes” is on the App Store since July 2016. Lyrebird created the Sounds according to the request of the developers from the company called “TrimeCore” from Poland. “Fancy Cakes” is a game where you have to arrange all the cakes in a certain way to get the big confectioner price. 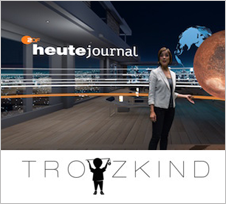 “ZDF heute – Mission Mars” is an interactive Virtual Reality Movie/Serious Game produced by the berlin company “Trotzkind“. For this special kind of multimedia work “Lyrebird” created adaptive sounds. In the game you are the copilot of a spacecraft flying through our solar system. Your task is to navigate the vessel to the planet mars. VR – what a miracle of technology ;). 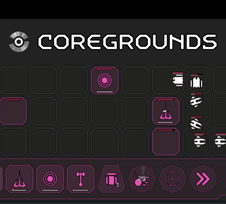 “Lyrebird” created the Sound Design for the PVP tower defense game “Coregrounds“. This title is an online browser game developed by the company “nolife labs” located in Berlin. 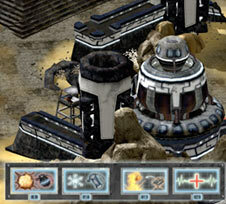 In “Coregrounds” two players fight one another on one map. 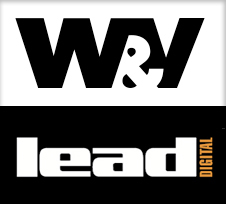 The two online magazines “W&V” and “LEAD digital” report on Lyrebirds CEO Christian Raters in the article “Was macht eigentlich ein…Audio Engineer – What actually works a…audio engineer”. Along with a small Portrait he talks about his biography and his love for working as a sound designer and a game developer. In June 2015 we did the sound design for “Block Star Party“, developed by the canadian company “Play Puddle INC”. 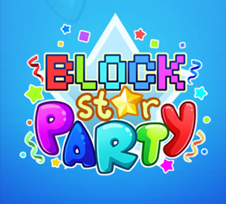 “Block Star Party” is a so called “Match 3” puzzle videogame, created as an application for Android and iOS as well as for online browsers. It is also playable via facebook. 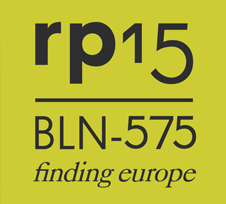 The audio streaming-platform “Voice Republic” again booked Lyrebird for the “re:publica” 2015 in Berlin. The task was once again streaming signals from twelve stages into the world wide web. As audiolead we organized the stages via remote over a period of three days. 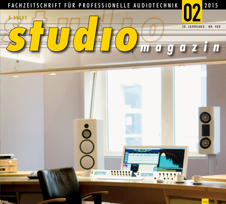 The “Studio Magazin” wrote a huge story about the “Riverside Studios” Berlin in issue 02/2015. In this story there was a special extra article about “Lyrebird”. In there our studio,our philosophy and our plans for the future were described. At the annual “SAE Alumni Convention“, we took over the technical support for the studios, the exhibition area and all seminar rooms. 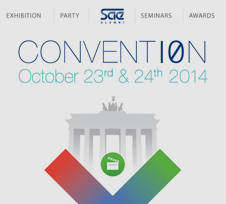 After a year’s break this multimedia event was again held at the “SAE Institute” campus in Berlin. Here we also coordinated the assembly and disassembly of the studios and all rooms. 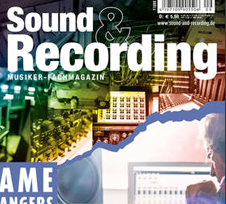 “Sound & Recording”, a magazine for musicians, wrote a big article about the “Riverside Studios” here in Berlin. In there is a report about the resident “Lyrebird”, talking about their studio and their projects. 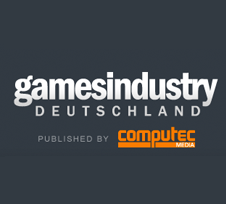 The online magazine gamesindustry.biz wrote an article about Lyrebird in June 2014. In this interview Christian Raters and Julian Meybohm talked about technology, lecturing, the industry and about their current projects. 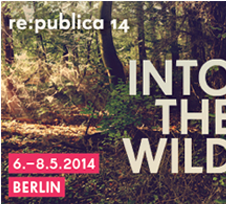 The audio streaming-platform “Voice Republic” booked Lyrebird for the “re:publica” 2014 in Berlin. Our task was streaming signals from twelve stages into the world wide web. As audiolead coordinating fourteen engineers we organized the stages over a period of three days. 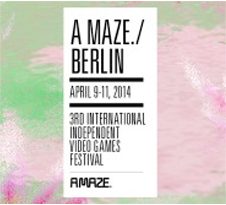 The Lyrebird-Team paticipated in the third international Independent Video Games Festival “A MAZE.” Berlin. This event took place at “The Wye” in the Skalitzer Street and parallel at “Urban Spree” in the Revaler Street. In cooperation with SAE we took care of the live sound system at “The Wye” where all workshops, panels and seminars took place. Additionally we made a live audio stream. It was an amazing festival :). The computer magazine “c’t” (issue 26/2012) included the game “Onslaught: The Last Stand” on their enclosed CD accompanied by a short review. Launching as a student project the 3rd person tower defense shooter “Onslaught: The Last Stand” now represents a sophisticated multiplayer game. Lyrebird had a big influence on the development of the game. We also implemented the whole Audio into the game engine.